I confess to being one of those people, who listen to the same songs all over again and again. They also sound different depending on where and how I listen to them: if I’m cleaning up the house and listening from the stereos or if I’m concentrating and wearing my headphones – listening to secret songs, that nobody knows about (except Spotify, which is pretty onto me, to be honest). I have now tried two different types of wireless headphones from Sudio Sweden to listen to music and I’ve been very happy with both of them. 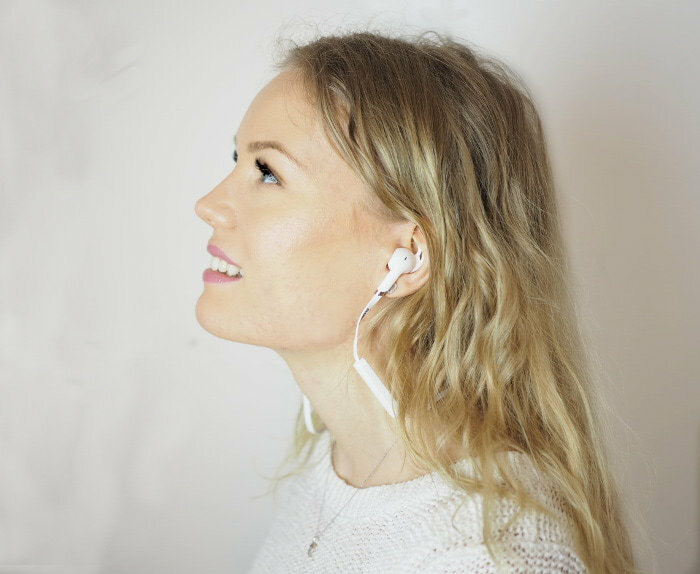 In this post I wrote about my experience with Sudio Regent headphones and in that post also Risto wrote a little review on Tre heaphones (the review is pretty thorough actually). I too now got those Tre headphones, which are awesome for sports and also to be worn with glasses, since they are wireless and work with bluetooth. They come with a cute leather pocket and they’re pretty small, so they’re easy to take with and they fit even the smallest of handbags. Women problems, right? 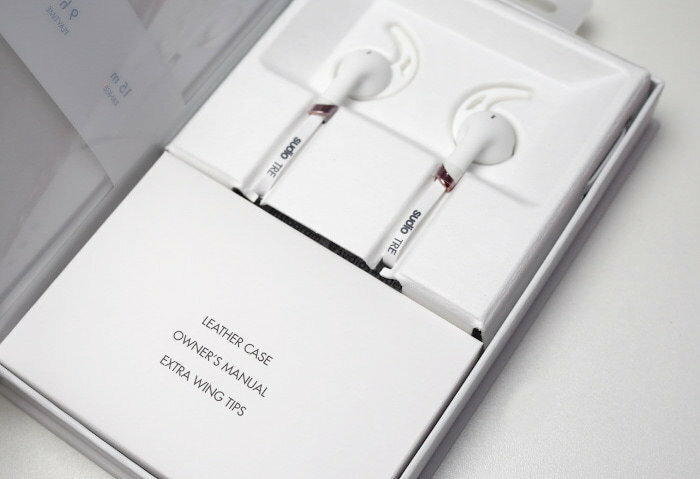 Packaging is always super important to me and I like the design of all the Sudio headphones. Just look at that rose gold detailing! This unique model is genious. I feel like my ears always hurt from the in-ear (plug) models and I couldn’t exercise with the Regent model, so these are the perfect in-between. They come with different sizes of the wings, so that they suit all sizes. Now when it comes to the sounds and bass – I am happy with the quality. In Risto’s review he said he’d like more bass, but I didn’t really miss that. Though to be honest, I don’t usually listen to music very loudly and wouldn’t therefore necessarily appreciate a heavy bass. 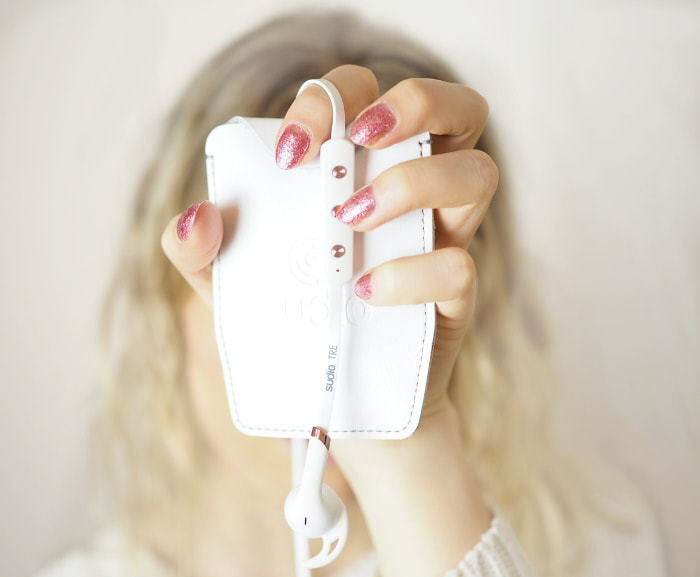 I am so happy to be collaborating with Sudio Sweden again – and this time I also got something awesome to you guys, thanks to Sudio. Now you have the chance to win a pair of Sudio Tre wireless headphones in the color of your choosing (rose gold, black, white, blue or pink). Comment in this post and tell me what color you would like to win. Follow me on Facebook, Instagram or Bloglovin. Or all of them, if you’d like. Tell me in the comment, which one is it. Leave your email, so I can contact you, if you win. This giveaway is international and open until 25.12.2017. I will contact the winner personally. GOOD LUCK! 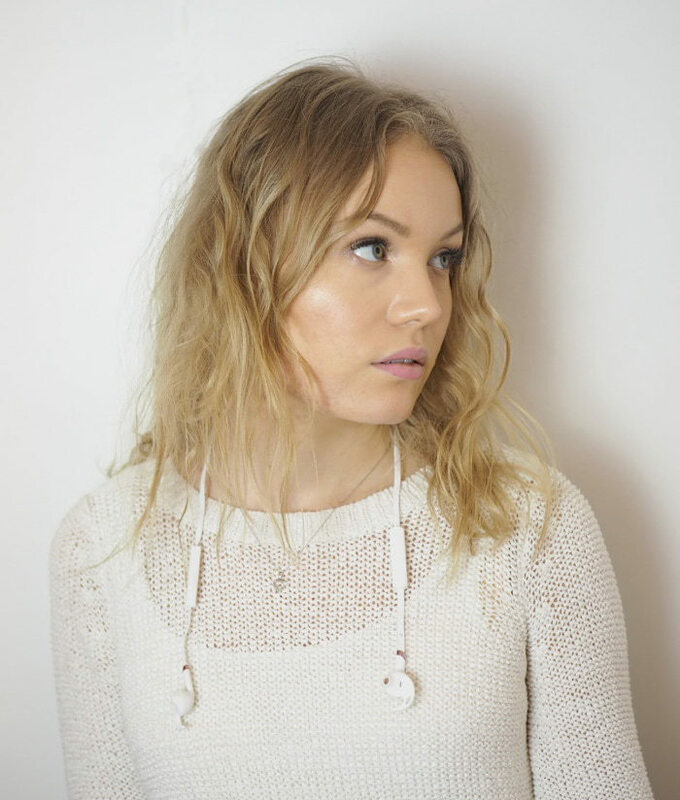 My discount code to Sudio is also still effective, so you can use code ‘CHARLOTTA15’ to get -15% off on your order. 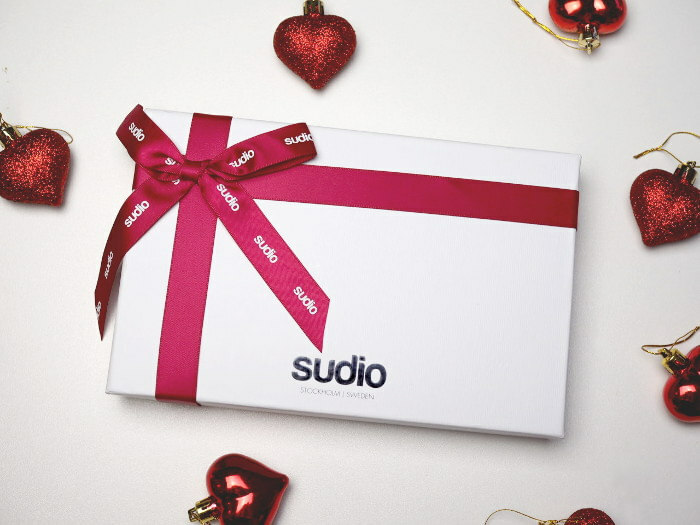 As it’s Christmas time, Sudio gives complimentary gift box with every purchase. Valkoist kuulokkeet olisivat valintani. Seuraan FBssa ja instagramissa. Valkoiset olisivat kivat 🙂 Seuraan instan kautta. Seuraan instassa ja ruusukultaiset ois ihanat! Ruusukulta olisi täydellinen väri <3 Seuraan facebookissa. Seuraan facessa (eri sukunimellä) ja mustat kuulokkeet olisi mieluisimmat! Onpa ihan arvonta, mustat kuulokkeet ovat omat suosikkini vaikka kaikki ihania ovatkin 🙂 Seuraan sinua bloglovinin kautta. Valkoiset ovat suosikkini. Seuraan blogiasi Facebookissa ja blogit.fi:ssa. Ruusukulta ja seuraan sua kaikkialla! Valkoiset ja seuraan fb:n kautta. Classic Blue ja seurannassa sekä Insta että RSS (via Feedly). Instassa seurailen. 🙂 valkoinen olisi toiveväri! Ruusukultaiset olisivat ihanat. Seuraan facessa ja instassa. Ruusukultaiset olisivat aivan täydelliset! Seuraan instassa sekä facebookissa! I like the blue headphones. I follow you on Facebook, Instagram and Bloglovin. Pinkit kelpais Tiinalle. Seuraan IG:ssä. Fb:ssä seuraan. Valkoiset olis kivat.Mukana.